Emerge Nevada, the state’s premier organization for recruiting and training Democratic women to run for political office, announced today that it has selected its 2017 class. This year’s group of future women political leaders was limited to women who intend to run for office within the next three years. Many have never been involved in grassroots politics before, which is owed to new and historic interest after the 2016 election. The women hail from both the north and southern parts of Nevada, come from diverse backgrounds, spanning the spectrum of races, sexual orientation, socioeconomic levels and professional experiences. Emerge Nevada’s training program offers Democratic women who want to run for public office a unique opportunity. Women who are accepted receive 90 hours of in-depth education over six months that inspires them to run for office and gives them the tools to win. The program’s trainers are comprised of an elite team of campaign consultants, advisors and staff from all over the country, who have been involved in some of the most successful campaigns and initiatives seen in recent election cycles. Participants learn from these experts and develop practical knowledge in areas such as public speaking, fundraising, campaign strategy, voter contact, media and messaging and others. 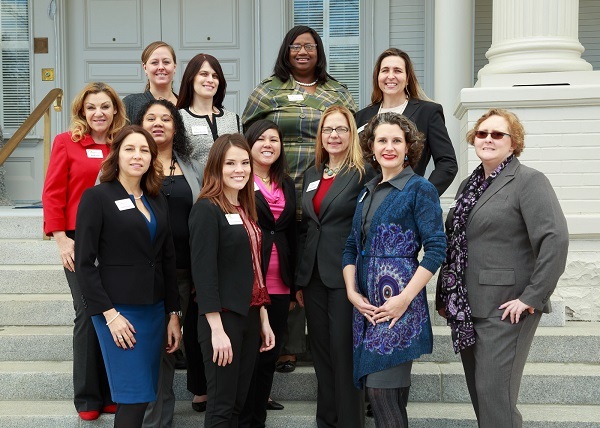 Candidates also meet an array of dynamic women who hold elected and appointed office and become a part of a supportive network, which includes a national association of Emerge alumnae, the Emerge board and advisory council members. Emerge Nevada has a proven track record for getting Democratic women elected. Since the organization launched in 2007, the program has equipped more than 150 women with the skills needed to bring change to their communities. More than 65% of the alumnae have gone on to run for political office or been appointed to local boards or commissions, and of those who have gone on to run for an elected position, 89% have won. Emerge Nevada’s commitment to diversity also means that the women selected for the program come from a multitude of different backgrounds and all walks of life.